Bring Rabbi Nachman to Jerusalem shared a link. Rabbi Nachman moves 50 000 tourists to Uman per year (about 15 000 000 USD deficit for Israel). Most of the pilgrims are seriously in debt already but feel they have no choice, because unfortunately Rabbi Nachman is in Uman. Bringing Rabbi Nachman to Jerusalem will bring approx. 800 000 pilgrims the first year. A tour operator who has been working for years on the Uman trip has told us that the income for Jerusalem will be close 1 billion in the first year and the second year will double due to new tourist infrastructures. (These funds will no longer be channelled to a few super wealthy families, but will be administered by the whole population of Israel). We are forwarding to you our correspondence to the Minister of the Treasury, Mr. Yair Lapid in the hope that your desire not to increase taxes will be fulfilled by this project. Your deputy Mr. Ytzhak Hertzog the son of former President Haim Hertzog probably knows that his father already received a verbal promise from President of the Ukraine Mr. Leonid Kuchma in 1993 to exhume and to send the mortal remains of Rabbi Nachman to Jerusalem. The article about this important historical event is available at www.nachmanisrael.com. President Peres has given us his full support for the last 20 years, we still have his letter from 2008 posted on the website mentioned above. 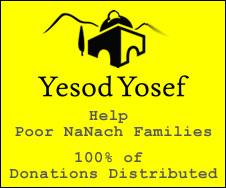 Like you, we are very interested in economic justice and wish to be of assistance to you through this Jewish national project. We propose an initial interview between yourself and Knesset News on this subject. The interviews are usually in English. The sooner this comes out in the media the more public pressure and likelihood of a successful Peace Negotiation. You will discover that we can be very committed to your success. May G-d Bless you with good and prompt results. Israel is only two steps away from Peace and Prosperity. Bringing Rabbi Nachman to Jerusalem is a move favored by both President Shimon Peres and Mayor Nir Barkat. Both these men know that this action makes economic, and political sense. Neither are particularly religious and this is indeed the paradox. Even more bizarre, the religious world will be up in arms that the Israeli Government is bringing Rabbi Nachman to the land of Israel on their own. Indeed the teachings of Rabbi Nachman are not taught in religious schools which accept only Gemarra, however they are being taught in Universities throughout the world and are extremely popular especially among philosophers. Moving Rabbi Nachman to Jerusalem will make it obvious for everyone that the Haredi "Rabbis" are political and very profit oriented. This fake religious authority is terrified of the Israeli Government bringing Rabbi Nachman, whose teachings are so popular with the masses and do not require Rabbinical legitimisation. We are sure that you and Minister Naftali Bennet will get the full support from Prime Minister Benyamin Netanyahu to make public the announcement of an International Peace Conference in Jerusalem; the opening of which will be bringing Rabbi Nachman from Uman to Jerusalem. We have suggested President Obama do this with Airforce One and were encouraged to continue the correspondence by Ambassador Daniel Shapiro. We have made all our correspondence available on the following websites, please notice the response from Canadian Prime Minister Stephen Harper and from President Shimon Peres. Rosh Hashana is a growing security hazard for the pilgrims and for the local Jewish population especially since last year. הר ציון שימש בימי המקרא את הר הבית דווקא: ''מֵעִם ה' צְבָאוֹת הַשֹכֵן בּהַר צִיּוֹן'' (ישעיהו ח', יח), ''הַר צִיּוֹן זֶה שָכַנְתָ בּוֹ'' (תהלים ע''ד, ב) ועוד. הכינוי נדד מערבה במאה השישית לספירה, בעקבות זיהוי שגוי של המצודה עם מגדל דוד. מכאן קָצרה הדרך לכנותה 'מצודת ציון', ולפיכך – הר ציון.